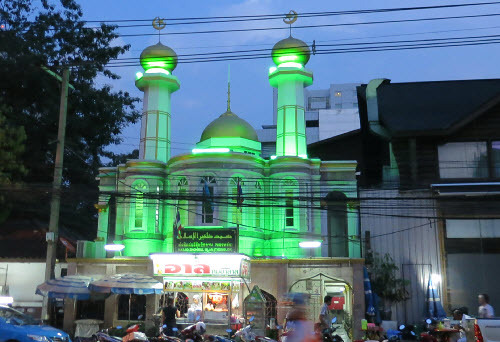 Muslims have lived in and around Thailand - and before that, Siam - for centuries. They have contributed significantly to Thailand's long history as a nation, from Malay Muslims moving up into central and even northern Thailand over the centuries, bringing their unique form of Islam with them, to Persian Muslims arriving in the 17th century and integrating themselves into business and ruling circles through trade and marriage. Today, Muslims comprise as much as 12% of the Thai population and have become part of the sociocultural and economic fabric of the nation. Their restaurants, businesses, and mosques are scattered across the country side-by-side Buddhist and secular businesses and institutions. Tolerance and mutual respect are hallmarks of this coexistence between people who identify themselves first as Thais, and second as members of their respective faiths. 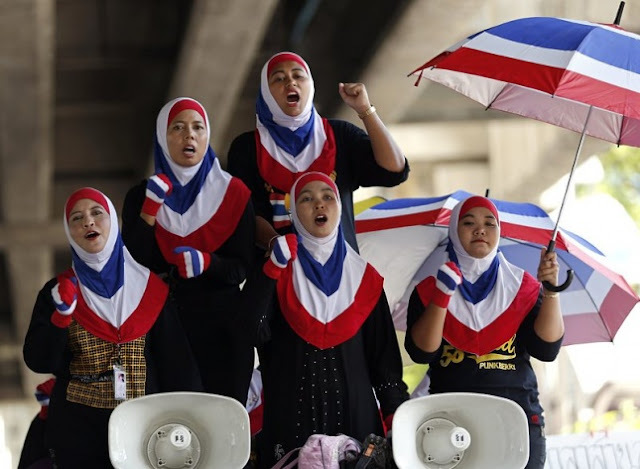 Contrary to popular belief, of Thailand's 7.5 million Muslims, only 1.4 million reside in the nation's southernmost violence-racked provinces. However, in the south, Muslims represent over 70% of the population and observe cultural and political identities standing apart from Muslims throughout the rest of the nation. They do not see themselves as "Thais" first, but rather still as Malay. These three southern most provinces - Yala, Pattani, and Narathiwat - and their unique circumstances, are a result of a regional power struggle stretching across centuries and includes more recently, attempts to use this region as a buffer between Thailand and British Malaya (now modern day, independent Malaysia). Over the centuries, these three provinces once known as the Pattani Kingdom, have vacillated between a track of integration and assimilation within Thailand, to separatism and violent rebellion against it. The struggle is and always has been primarily political in nature. And in addition to local power brokers who seek greater autonomy, external players throughout Southeast Asia's history have used this region as a means of exerting pressure on Thailand as well. Today, violence in Thailand's southernmost provinces targets Buddhists, Muslims, and the secular alike. Multiple armed factions exist, with a Wikileaks cable more recently revealing that in addition to Malay separatists, areligious political fronts created and directed by ousted prime minister Thaksin Shinawatra are using the violence as cover to make their own contributions toward national and regional instability. 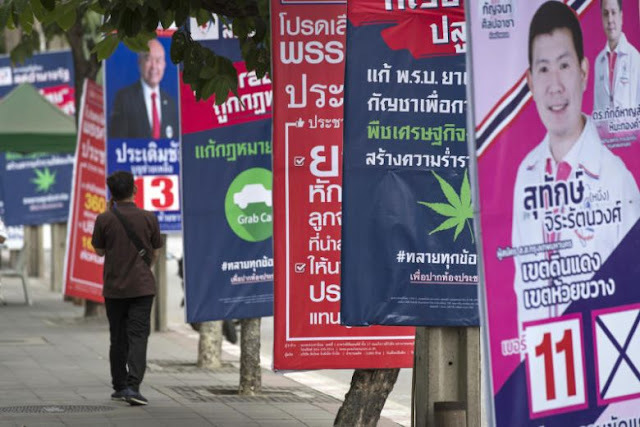 The posting of the anti-Queen banners on her birthday, a national holiday, was both unusual and significant, but the fact that the banners were professionally printed on vinyl, written in perfect central Thai rather than the local Malay dialect, and touched on issues which don't resonate in the south suggests those behind it were not local but national actors. Most in the know blame the red-shirts seeking to take advantage of inaction in the mosque attack case to undermine the Queen in particular and the monarchy in general. Just as inter Siamese-Pattani Kingdom tensions were used for leverage by the British Empire, and before that, Burmese invaders, today it appears the United States and its political proxies including Thaksin Shinawatra are using aspiring local power brokers and their aspirations toward greater autonomy as a geopolitical pressure point against Bangkok for their own self-serving ends. There is also evidence that US-backed political fronts are attempting to create interreligious tensions between peacefully coexisting Thai Buddhist and Muslim communities across the rest of Thailand. Attempts are being made within Shinawatra's former political stronghold of Chiang Mai to single out Muslims and their Halal industry as well as disingenuously link political violence in the deep south to all Muslims nationwide. It is a tactic turned to just recently, after it became clear Shinawatra's political front itself would be unable to successfully divide and upturn political order in Thailand. While the conflict in the deep south is one that indeed has solutions being pursued by players on both sides, the path toward socioreligious division the US and its political proxies in Thailand are attempting to set the nation down represents a far greater danger to national security. Once tensions are successfully ignited, staged terrorism carried out by US-backed actors can strike anywhere, anytime, undermining the nation's security, economy, and ultimately both its stability and survival. Similar tactics have been successfully used in neighboring Myanmar to sow social division and erode national stability until eventually, a US client state could be established. Thais have shown remarkably high political acuity in regards to identifying staged provocations and avoiding attempts to undermine national unity through similar provocations. It will be essential that this acuity is maintained or even improved upon through government programs and initiatives throughout the Thai media to navigate the troubled waters external forces have prepared for the nation in the months and years to come. Thais have achieved and protected interreligious tolerance and mutual respect for centuries. It is one of the nation's many great strengths. And it is a matter of national security to continue maintaining it.